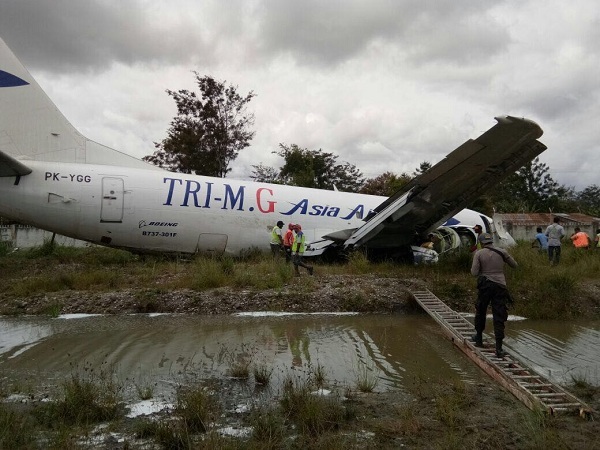 After a „firm“ landing the aircraft veered to the left of the runway where it ran across soft ground and a canal before ending in badly damaged condition. 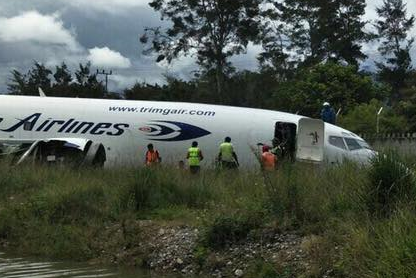 All five crewmembers remained unhurt. 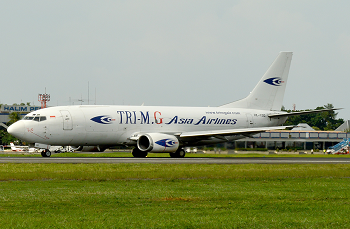 Cargo flight TMG103 from Timika was landing on runway 24 in rainy conditions but was unable to keep track during deceleration. 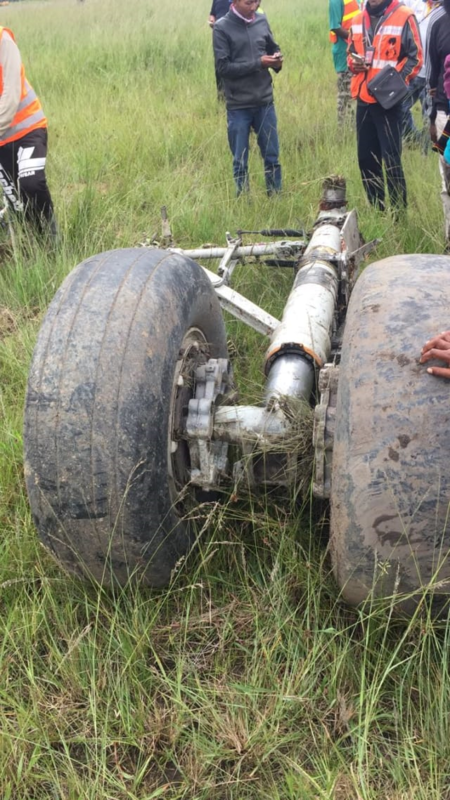 The 737 drifted strongly to the left where it left paved surface and ran across soft ground where its undercarriage was either torn off or collapsed. 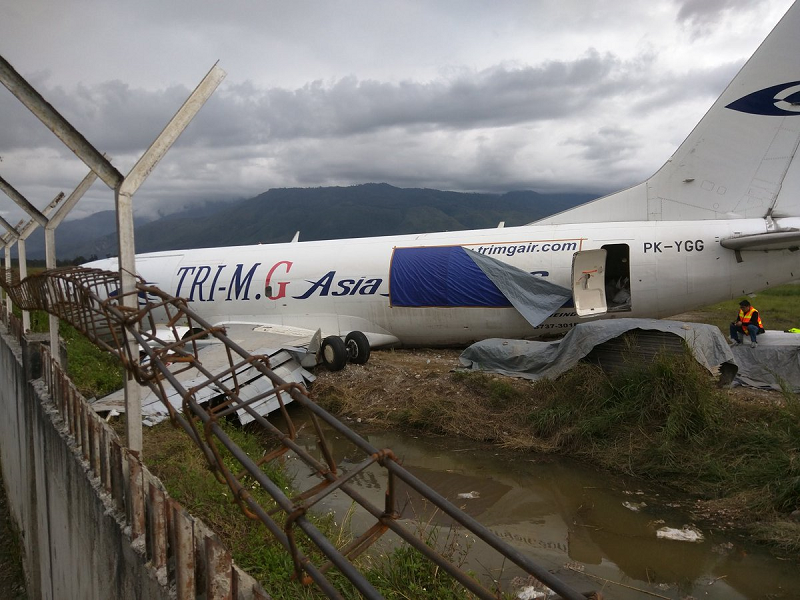 The aircraft then crossed a small drainage canal situated about 100 meters to the east of the airfield before it eventually came to rest only meters before a concrete wall. 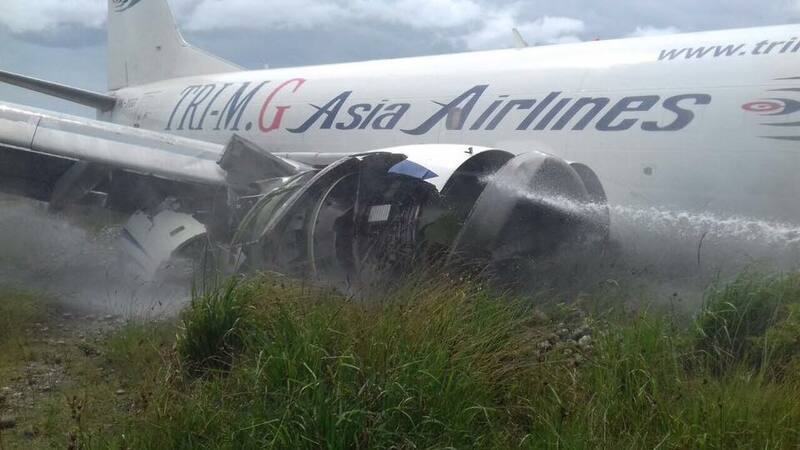 Both engine, wings and forward fuselage were seriously damaged making the 29-year-old aircraft a strong hull loss candidate. One maingear was found about in the trail, a hundred meters short of its final position. There was no fire. 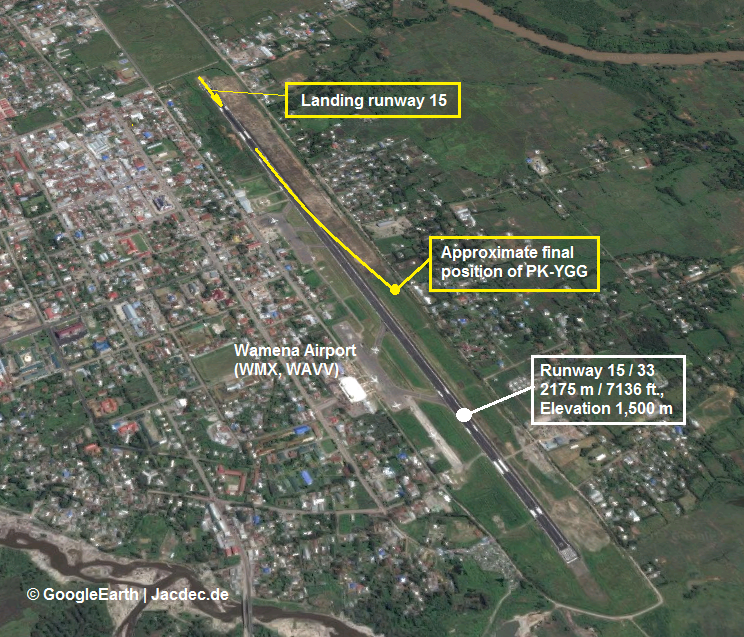 The only runway at Wamena Airport is 2175 meters (7136 ft.) in length. 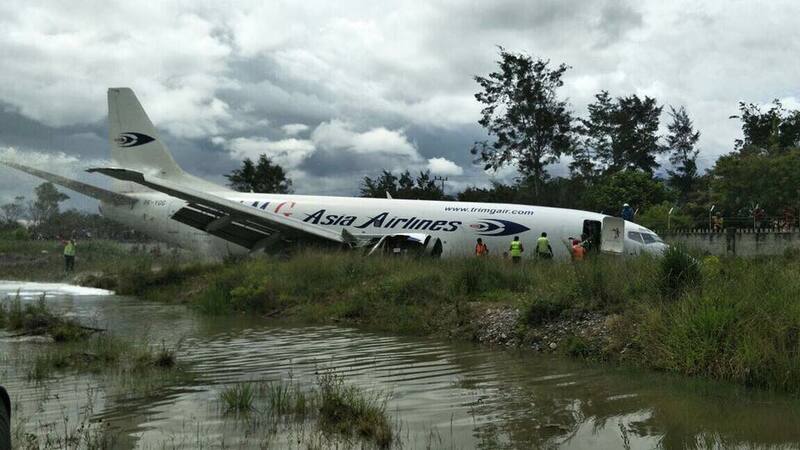 The 737 was carrying 15,080 kg of support goods like furniture, gypsum, pipes, cement, mattresses, a bathtub and other foodstuffs. 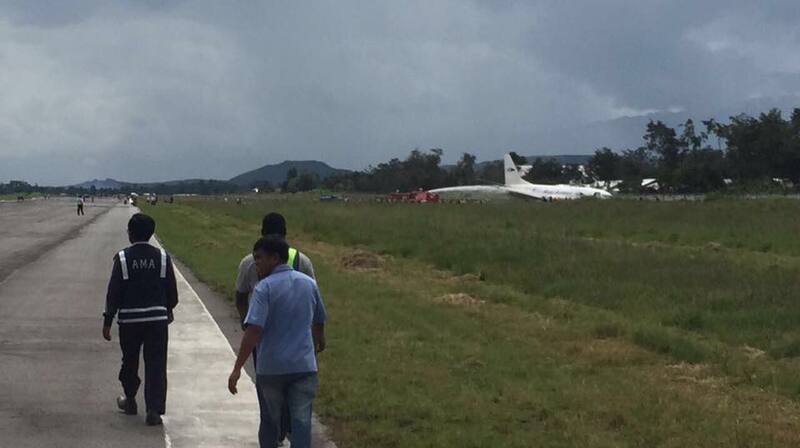 Initial reports indicate the aircraft may have bounced on landing following a „heavy“ touchdown. 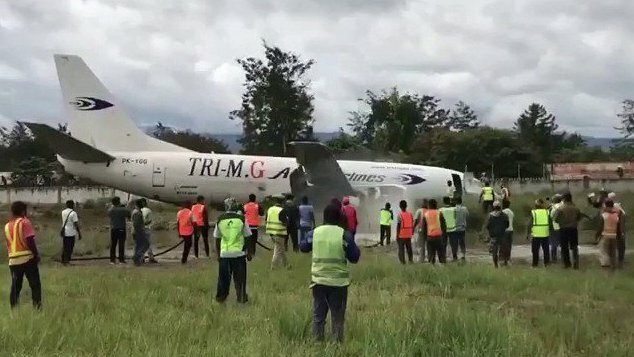 The aircraft in question (PK-YGG, msn 23743) accidentally tipped on its tail during loading at Wamena in April 2017. 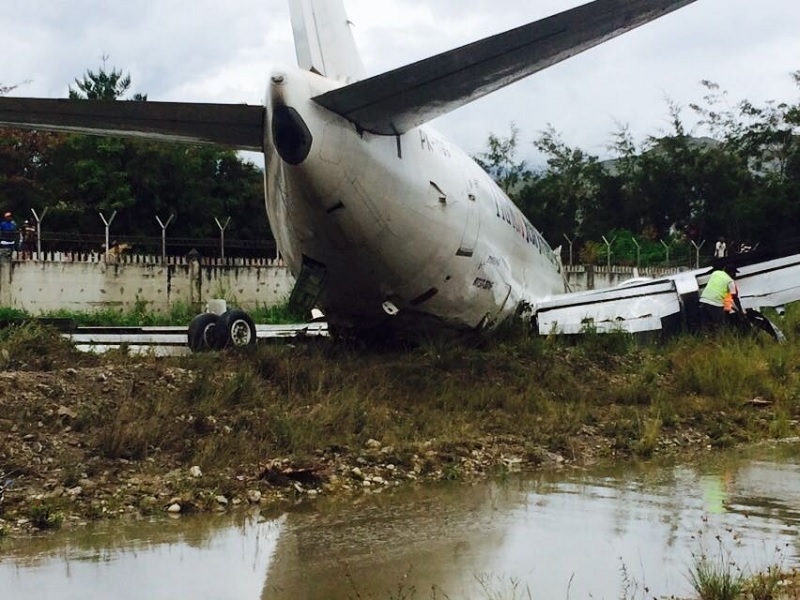 This accident marks the 7th serious occurrence at Wamena since 2015, 6 of them involved a Boeing 737-300/-200 and 4 of them were runway excursions / mishaps on landing. On 2017-07-19 the National Transportation Committee (NTSC) has launched an investigation.